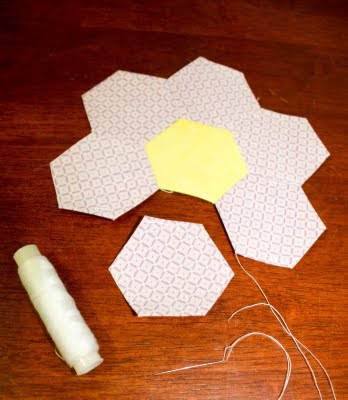 Textile Transfiguration: One flower, JUST one flower? One flower, JUST one flower? So I did it, I contacted my local guild. I am going along this coming Saturday to meet them all. I am so looking forward to it. The lady I conversed with via email was super helpful and said that most ladies will bring some hand stitching or some knitting along. So as I sat there with my almost finished flower I hesitated before putting that last petal on. 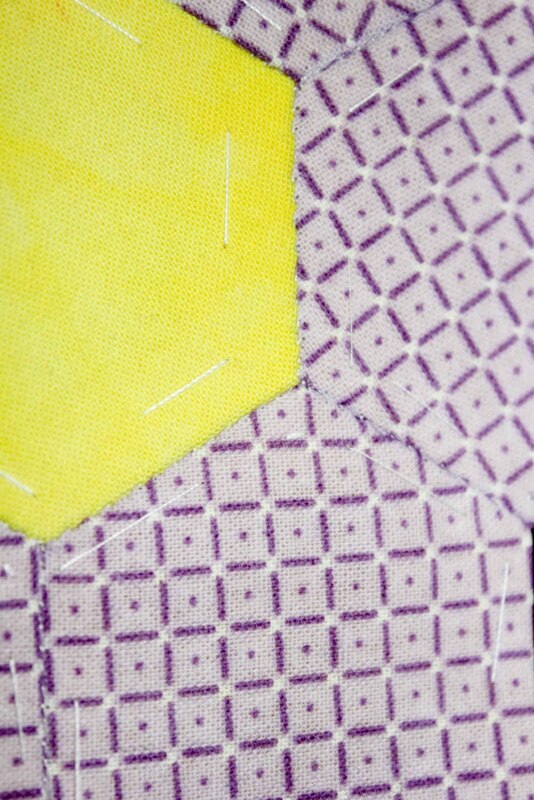 once that petal is done I will know... am I making a hexie flower or a hexie quilt? 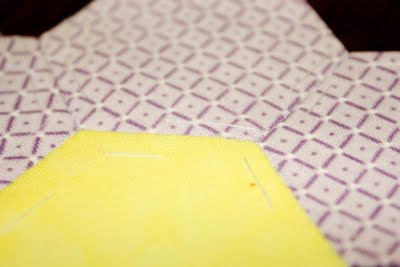 I am pretty sure it is a quilt :D I might have to spend some time cutting out and building a stash of the papers and consider how I can make the basting go quicker (if ever you have contemplated commenting, now is it baby! HELP). I think the key here is to not stress it. I dont plan on having it done this week or year, I am entering into this knowing it is going to be a 'when I feel like it' long term project. If I never get it done, although that isnt my aim!, I have something to hand my daughter. 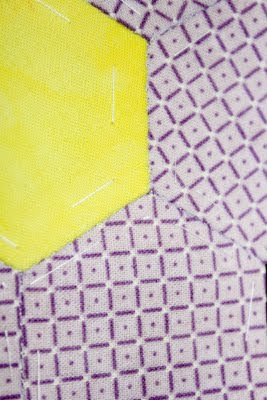 So there we go, a long term hand pieced quilt commitment by me, the queen on the instant gratification and believer that EVERYTHING can be machine stitched!